After twenty years of comfortable marriage, and with the kids finally off her hands, Sarah Lewis realises she has filled the washing machine once too often. Surely there must be more to life than this? Sarah wants an adventure, a wild, unpredictable adventure. But her husband - good old reliable David - is very happy with the status quo. Besides, he's got his old car to tinker with, when he eventually gets round to it. 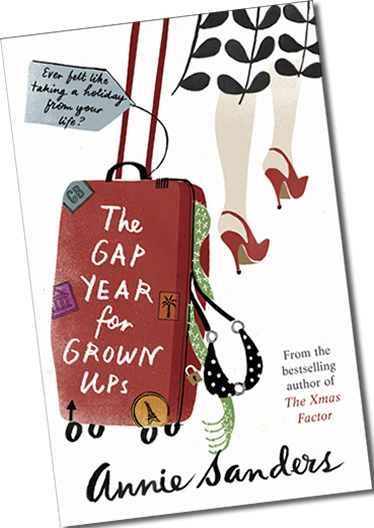 What sarah needs is a gap year for grown ups - and she wants to do it alone. Confident the grass must be greener elsewhere, she heads for France leaving behind a devastated and resentful David, faced with an empty house and a freezer full of meals-for-one. But is life really better on the other side of the fence?